We are still enjoying the afterglow of the TNW conference 2018! In this new blog of ours, you can read our experience of the fair, and view the photos. Enjoy! 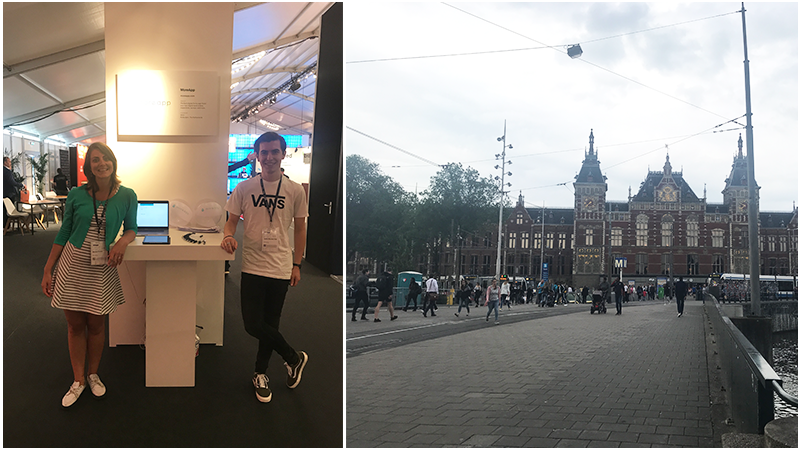 At large events, such as TNW Conference in Amsterdam, you will find all kinds of professionals; founders of startups, developers, Marketing and HR specialists. What everyone has in common is love for technology. With great interest, visitors took a look at the wonders world of our Form Builder! 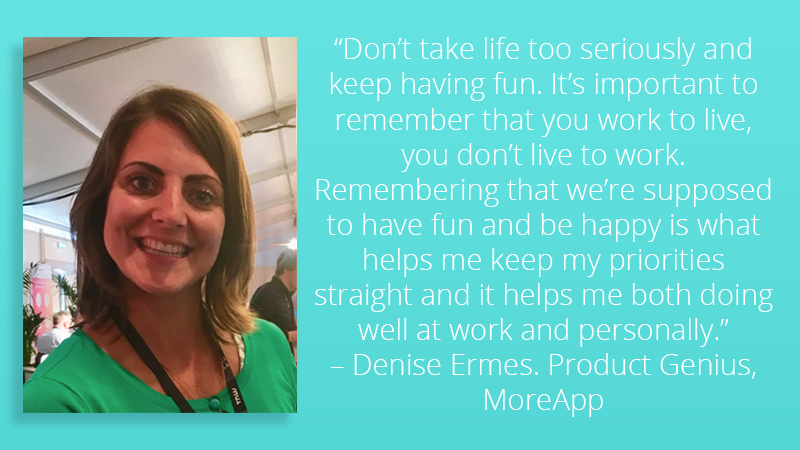 Our Product Genius, Denise Ermes, gives you, together with 5 other participants, advice on what you can apply to both your professional and personal life. We are very happy with our booth at the Exhibition area and meet again with the startups we met at the Hannover Messe such as SwipeGuide and Quicargo. 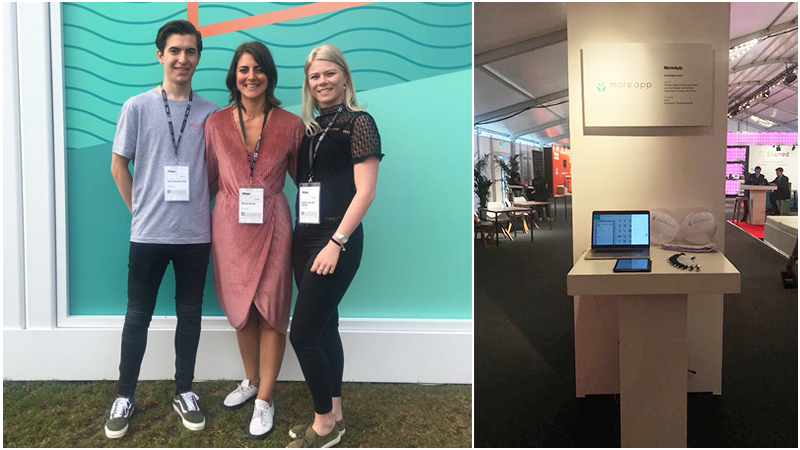 The TNW team of 2018: Justin, Denise and Maaike. The most frequently asked question: what is the added value of MoreApp compared to Google Forms? 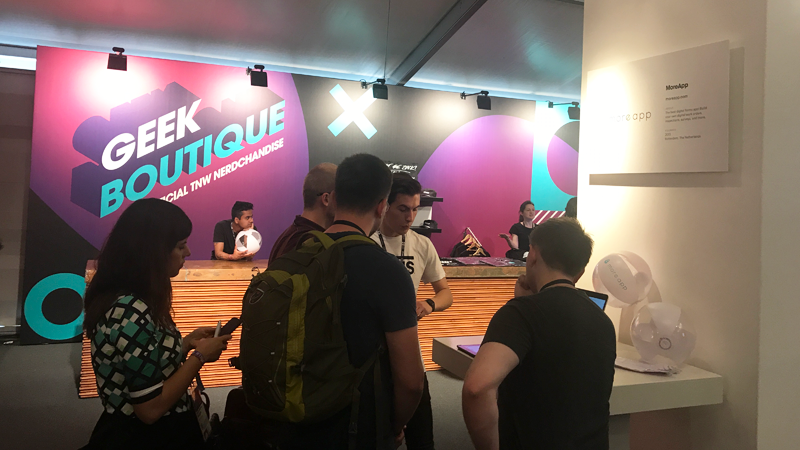 The visitors stand in line for Justins demo and the neighbours of Geek Boutique are very happy with he MoreApp beach ball.